On the occasion of Tim Duncan's retirement earlier this week, I used SportVU motion tracking data to call attention to an unnoticed element of his game: his low and tight, line drive shot arc. 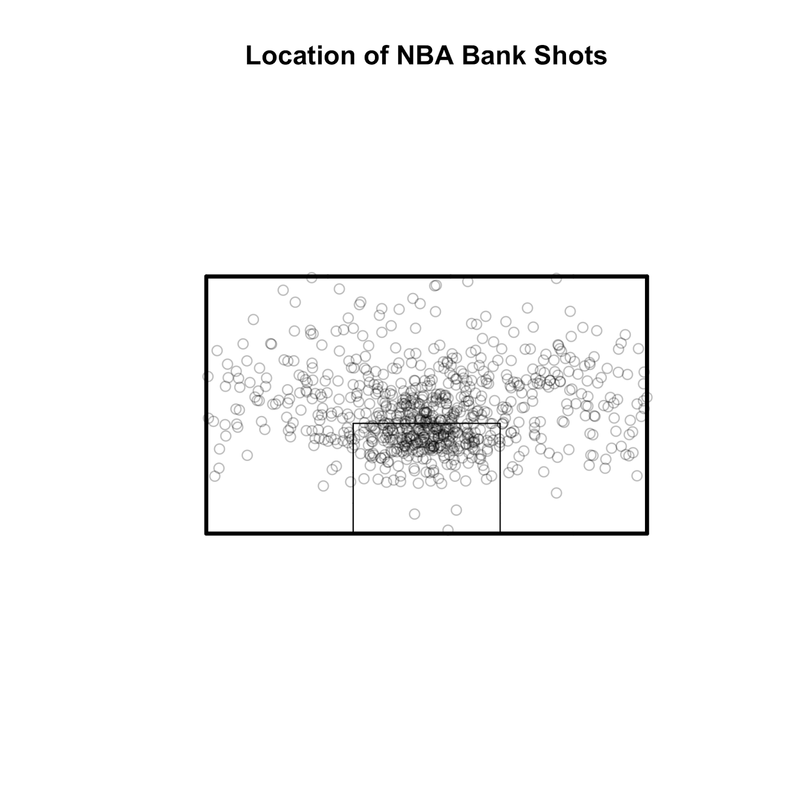 Using that same data, we can also delve into a more well known aspect of Duncan's shooting game: his bank shot. For the bank shots I am able to identify, the chart below shows where Duncan's bank shots hit the glass. 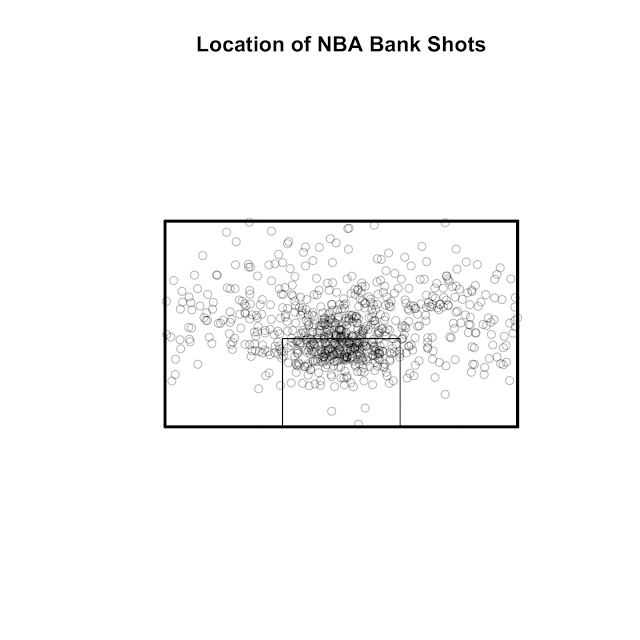 For comparison purposes, I also have a chart for all NBA bank shots. Duncan seemed to favor the upper left portion of the glass, especially compared to the league average, which is clustered far more in the center, just at the top of the backboard's inner square. On an unrelated note, I noticed that there appears to be a bias to when a scorekeeper will classify a shot as a bank shot, and that bias is skewed towards made shots. I have found several examples where the motion tracking data clearly shows a missed bank shot, but the official shot description does not call it out. For that reason, I would be skeptical of any stat that shows a particular player is far more effective when shooting bank shots. Once I have the methodology cleaned up, I hope to use the SportVU create a deeper dive into the bank shot and the underlying physics (similar to last summer's post on the effects of air drag on a basketball's trajectory).